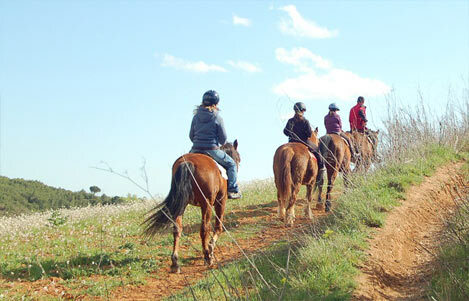 We propose a full day enjoying the natural surroundings of Ullastrell. A small municipality that stands on a hill where you have spectacular views of the mountain of Montserrat, and if the day is clear, also the Mediterranean Sea. 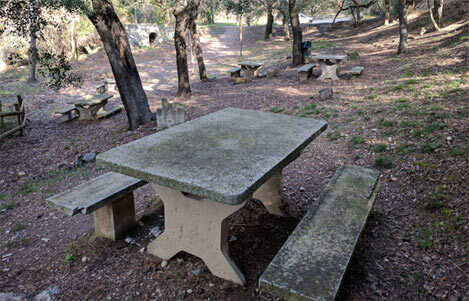 We suggest you to discover the magnificent natural surroundings of Ullastrell in different ways. 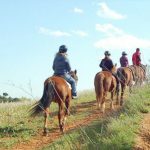 You can do a tour on horseback by the magnificent natural surroundings of Ullastrell, where forests full of oaks and holm oaks are waiting for you. Hípica la Vinya offers two routes, the route of the Bolet and the route of the ravine of Gaià, which allow to explore the surroundings of the villa and enjoy the views of la Mola and Montserrat. Do you prefer to make the journey on foot or by bike? We suggest you a trip by the path of Plataners and the Via Verda, a circular route which follows the impressive banana trees and that will allow you to discover farms, and crops of Ullastrell. Perfect for people who are lovers of active tourism, but prefer options without great difficulty. More information about the excursion by the path of Plataners and the Via Verda. Once the route is finished you can stop to eat in one of the two restaurants in Ullastrell: Cal Taiet or Raco d’Ullastrell, where you will taste home cuisine and products of proximity. Have you heard about the oil becaruda? Did you know that Ullastrell has traditionally been a leading producer of wine? You cannot let pass the chance to meet the Celler de Can Morral del Oli! You can walk among ancient olive groves of becaruda and old vines of native varieties. At the end, Maria and Xavier will leave you taste the wine and oil they produce. Do not miss it, the product and the environment deserve it!